Curious about the online marketing benefits? 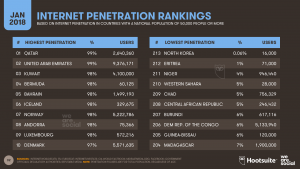 The number of internet users has skyrocketed since it first came around. In 2017, it was estimated that 3.58 billion people were using the internet. 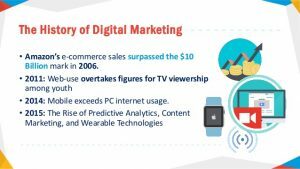 This means that people are moving from the more traditional ways of consuming content and accessing information such as the likes of newspaper and television, and, instead, spend an increased amount of time on the internet. For marketers, one might say that the internet has completely turned upside down on the marketing industry. 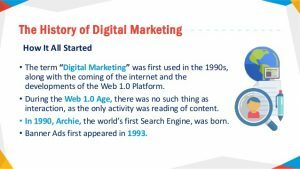 When the internet was just a baby, many people laughed at the internet, calling it a fad, and the fact that you would use internet marketing was unthinkable. Until you realize that marketers only trade on one thing: attention. Everything you do in marketing is done in order to get your audience’s attention, and this means that marketers need to adapt to where their customers are spending time. In this era, this means the internet. Today, people turn to the internet for everything. This means that the internet is often the best way for brands to reach their customers, and get them to buy. Moreover, the internet is universal, which means you can reach people from all over the world. If you put up a billboard, for example, only a small group of people will see it. And only the people who happen to pass it. But with internet marketing, you can reach virtually anyone. Today, internet marketing plays a central role in almost every business. In fact, a large amount of brands built in this era has solely been built on the back of internet marketing. In other words, internet marketing is not something that you can debate to whether or not it works, because there is simply too much proof that it does. But the the online marketing benefits are so many more benefits other than being able to drive sales. Sure, sales are always the end goal for a brand, but in getting there, you need to work on a number of marketing goals first. Among the benefits of internet marketing, this is a huge internet marketing benefit that it allows you to reach people from literally all parts of the world. No longer are the days when the only customers you had were the people who lived the closest to your store, and the people in the surrounding area. Moreover, gone are the days when the only way to market and reach people is by targeting them using ads which are highly dependent on their location. With internet marketing, you can market to people everywhere in the world, and thus widen your customer base substantially. In order to reach people from other places in the world, you yourself don’t have to be there, which makes customer base expansion much more effortless than before the internet. This, in turn, allows you to build a larger customer base quicker, since you aren’t dependent on the small number of people that are to be found in one particular geographical area, but you can instead use a wider net, and target a larger audience base, no matter where they are based. With internet marketing, you have millions of prospects instead of just a few. With internet marketing, you can also establish yourself, rather than one that is only known to a small number of people in a small geographical area. The more potential prospects you can reach, the more people you have a chance of converting, and therefore, widening your reach and base of prospects also means increasing the chances of growing your customer base. Another huge benefit of internet marketing is that it isn’t time bound in the same way that other marketing methods are. The internet is awake 24 hours a day, 7 days a week, which means that there is always a time when you can reach your target audience. When one audience is asleep, another one is awake. Internet marketing doesn’t restrain you with opening hours, and moreover, when using it, you don’t have to pay overtime for staff. Internet marketing allows you to be available to your customers at all times, no matter what time it is, and it allows you to keep your store open non-stop. You might have gone to a store to buy something, only to find the store closed, and what sometimes happens is that you go somewhere else and buy it. With internet marketing, this problem doesn’t exist, as your store is always open, thus preventing lost customers just because you aren’t open. People go to the internet whenever they like, no matter what time it is, and when they do, you can reach them with your internet marketing tactics, whether it be through email marketing, PPC, or anything else. For shopping on the internet, customers aren’t dependent on open times, but they are the bosses of the opening and closing hours. Moreover, through internet marketing, your marketing is always on and working for you, no matter when you’re awake. Another benefit of internet marketing is that it has proven to be able to generate great results at a low cost. 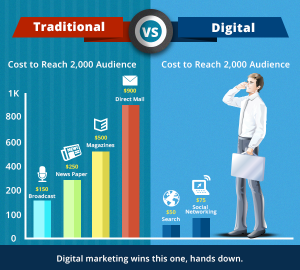 Traditional marketing generally costs a lot more than internet marketing and isn’t able to drive the same ROI as internet marketing, partly because of the limited targeting that it offers. Due to the huge array of marketing techniques and approaches using internet marketing, you can promote your brand at a very low cost, and create where you can create your ad budget. Many times, with traditional marketing, you can’t do that to the same extent. Moreover, when displaying products in your store, you need to fill your shelves with stock, but with internet marketing, you can keep your stock low and order it accordingly to the demand. The best part is that a lot of the internet marketing tactics out there can be done with no or very little budget, which makes it available to virtually anyone. There are a large number of free internet marketing methods, such as email marketing, social media marketing, and blogging, which essentially only demands your own time, or a very little upfront investment. Also, with the help of the targeting with internet advertising, you can ensure that the people you are reaching with your ads (and paying to reach) are people who are truly relevant to your ads, as opposed to traditional advertising such as newspaper and television, where you have no possibility in affecting who sees your ads, nor no possibility in knowing who saw your ad. 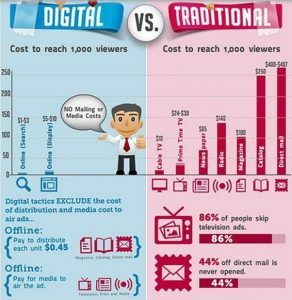 Compared to traditional marketing, internet marketing is easy to get started with and is quick to implement. In fact, getting started with your first internet marketing campaign can be done in within an hour. No matter if you have no previous experience, it’s quick and easy to get started, and it can be done whenever you fee like it. For example, creating a commercial to be broadcasted on television not only demands tons of staff and expertise, but it will also cost you thousands of dollars, just to get started. And then, you have the distribution cost on top of that. Many of the simple internet marketing tactics can be implemented in a matter of minutes, such as a posting in Google local, as opposed to a Yellow Page advertisement, which is not only more time-consuming but also costs a lot, compared to Google local which is free. With internet marketing, you aren’t dependent on other people’s schedule in the same way as traditional marketing, and if you know how to do it, you can get your first internet advertising up and running in a matter of minutes, not wait weeks for it. One of the reasons that internet marketing is so effective when it comes to generating a high ROI is that it offers incredible audience targeting which you can only dream of with traditional advertising. 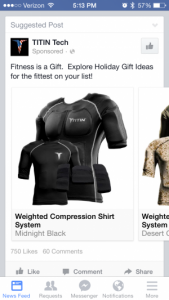 A few of maaaaaany more ad targeting criteria on Facebook by advertisemint. As a brand, you only have an interest in reaching your target audience, because really, these are the only individuals who will buy from you. This means that every other person you reach with your advertising who isn’t within your target audience will only raise the cost of your advertising and decrease your ROI. Ideally, you only want to pay for reaching the people who truly matter to your brand, and with clever ad targeting using internet marketing, that’s exactly what you can do. When you know who your target audience is, you can go to the places on the internet where they spend time, and then target them accordingly. 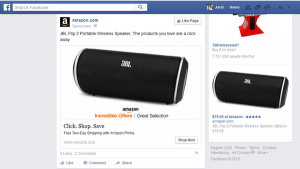 This can be done in a number of ways, using paid-ads or other methods. Moreover, internet marketing adds a level of convenience since customers now don’t have to pay in order to meet your brand, but instead, they can meet you on the internet – no matter where you are, and no matter where they are. As a marketer, you are only trading on one thing: attention. And considering the internet soon will have 4 billion users, it’s easy to see that it has absolutely no shortage of attention. In traditional marketing, you’ll always have the demographics hurdle, which makes it possible to only reach a limited amount of people in a limited area, but by using the internet, you can overcome all of that. If you want to reach more people, you just have to change gears and be more aggressive in your internet marketing. Plus, in doing this, there’s no need to build a network of distributors in each and every country or open new stores just to meet the increased the demand that’s coming from different places. Most likely, your whole target audience or the vast majority of your target audience is to be found on the internet, and so, why use marketing methods that only allow you to reach parts of that audience when you can turn to the internet and reach all of them? The infrastructure on the internet is tremendously effective, and without investing a dollar, you have the ability to reach millions of people, just by implementing the right strategies. Moreover, you can also reach a huge number of people through the internet ads at a considerably low cost. The bottom line is that internet marketing allows you to play in the big leagues, and brings the ability to reach millions right to your fingertips – something that isn’t possible through any other type of marketing in the same way. A huge benefit of internet marketing is that the marketing activities and efforts you invest on the internet remain for a long time to come, year after year. This means that you can gain marketing benefits from your efforts, long after you’ve done them. If you, for example, create a video and upload it to YouTube, the video will stay there until you either take it down, removed, or YouTube crashes. The same goes for the content you put up on your website, with the only difference being that you have more power over it and aren’t relying on a third-party. With traditional advertising, on the other hand, marketing campaigns generally have a very short lifespan, and there’s no residual effect on the content you share. When your marketing campaign is over, it’s over, and few or no people will ever see it again, thus preventing the campaign to drive results for a long time to come. In fact, if you search for something on Google, you’ll often find that many of the pages that show up at the top of the search results are several years old, and are still driving the brand tons of traffic and potential customers. Following up through traditional in marketing is difficult, ineffective, and expensive. This means that most of the time, customers will buy from you, and then they’ll forget all about you. And when they maybe need that product again, they won’t have your brand in mind, or be able to recall your brand. With internet marketing, however, it’s a completely different story, and it opens up tons of opportunities to continue building that customer relationship, but most importantly, stay in touch with them to ensure that they never forget about you. Maybe you’ve purchased something online, and soon thereafter, started getting marketing emails from the brand with new deals and offers. 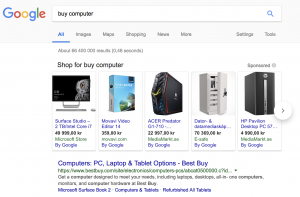 You might also have noticed ads popping up when visiting certain websites, which come from that exact brand, showcasing identical, or similar products to the one you bought. These are just two of many ways internet marketing allows you to follow up and continue to build relationships with your customers. And since you know that they’ve bought from you once, you know that they are much more likely to convert again. With a humungous number of people having access to the internet, online shopping has skyrocketed, and the sales in traditional stores and boutiques have decreased. 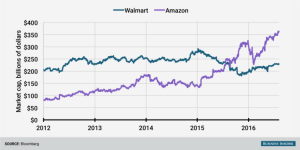 Just look at all the large retail companies in the US such as Walmart, Target, and Costco. Their revenue has seen a continued decrease over the last couple of years as they haven’t effectively been able to keep up with the new landscape of shopping: online shopping. At the same time, the revenue of corporates like Amazon and eBay has skyrocketed over the years. And this is a trend that is only going to continue as people are shopping more and more online. Online payment solutions can be easily implemented using digital payment services like PayPal. Online payment comes with several benefits for the brands, as opposed to having to deal with cash in-store. There’s no need to carry a large amount of cash in the store, go for cheque clearance, or even be afraid of getting broken into or robbed. All payment online is done through a secure third-party solution, allowing you to focus on what you’re good at. In Marketing, personalization is everything. In fact, 79% of consumers say they are only likely to engage with an offer if it has been personalized to reflect previous interactions the consumer has had with the brand. Internet marketing allows you to gather data and information about your customers in a way that just isn’t possible with traditional marketing. And as a brand, you can then leverage that data to create better, more relevant and personalized advertisements and customer experiences for your customers. When you’re walking in the mall, the products you see aren’t targeted to you personally, which means that much of the products you’ll see will be completely irrelevant to you. Why? Because how can the stores possibly put out products that are relevant to each and every individual that walks by? The answer is, they can’t, but with internet marketing, you can. 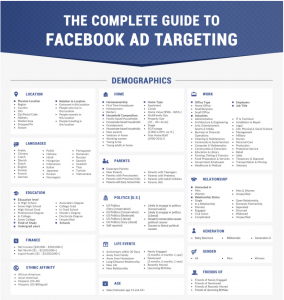 There are a number of ways in which data can be collected, but one of the most popular ways is obviously by leveraging other platforms such as Facebook ads and Google ads which has gathered information about their users, thus allowing you to run more targeted ads towards your audience. But you yourself have a tremendous opportunity in collecting data about your audience, too. With various tracking softwares, you can identify things like gender, age, viewed products, link in (referrers), what pages they’ve visited on your website, what products they’ve looked at, and much more. Moreover, targeting and data collection includes things like polls, surveys, and geo-targeting. Product filtering is also a great way to personalize your customer’s experience, or more so give your customers the opportunity of personalizing their own experience, as they can filter products based on price, free shipping, categories, etc. All of this to give a shopping experience that is better suited to the customer. 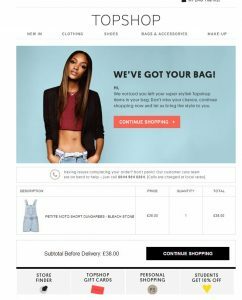 Personalisation also reaches customer with specific messages, individually tailored for them, for instance through email, to present products and information that is relevant to them. If a customer has abandoned their cart in your online store, for example, you can email them and remind them about their abandoned car, and to encourage them to check out, you can even give them a discount. If you’ve run an advertisement in a newspaper, once your ad is printed, it’s printed, and there’s no way to change things in hindsight. With internet marketing, it is a completely different story, as the content you put out is alive and can be changed and optimized whenever you like. In marketing, optimization and improving is crucial to creating the best possible performing marketing campaign, and traditional adverting gives very little room for that. 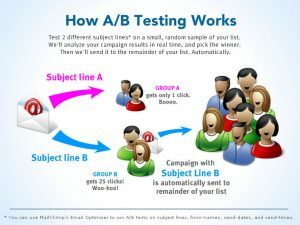 A/B testing, or small tweaks and changes are common types of approaches taken to create the best-performing post, which allows you to look at the ad campaigns you’re running, see which performs well, making small changes and seeing if the performance improves. The best part is that this can be done without sacrificing a long downtime period or having to spend tons of money just to run a new campaign where you try something new. With internet marketing, you can learn as you go, until you find what drives the best possible results. Personalization is among the top online marketing benefits, and personalization, which I spoke about earlier falls under the category of diversified marketing. No customer is the other like, yet still, all traditional marketing treats people like they are. People resonate with different things, and by acknowledging that, you can create better-performing ad campaigns, as they focus on the individual, rather than the collective. This is what internet marketing enables you to do. The most popular diversification marketing tactic is Google Adwords Pay per Click Marketing. With Google Adwords, you decide which keywords you want to rank for, and then, you pay Google every time someone clicks on your ad created for that keyword. Google gives you the opportunity to create individual ads for each and every keyword but most often, ad groups are made, which targets a number of related keywords with one ad. Google Adwords Marketing allows you to target specific individuals in your target audience who are searching for a specific keyword, and then create an advert that is relevant to the person who is searching for it. For instance, If my brand is Mercedes, there’s obviously no point in presenting ads for SUVs to people who are looking for a cabriolet, right? But by looking at the keywords that people are searching for, we get to know exactly what that person is looking for, and thus present them with an ad that is relevant to them, and gives them exactly what they are looking for. And it doesn’t take a lot to understand that this is obviously not possible with traditional marketing. The same principle works for SEO and content marketing, as you create content that is focused around a specific topic, and then, with the help of search engines, you can have your content show up to people who are searching for the exact thing your content is about. In marketing, it is crucial that what you present to your customers is relevant to what they are actually looking for, and this is what internet marketing allows you to do. Automation is a tremendous benefit of internet marketing as it allows you to save time, money, and resources. With internet marketing, you can fully or partly automate parts of your process and have computers do the work for you. If you’d tell people that 20 years ago, they would never have believed you. If you Google marketing tools, you’ll find tons of search results of tools that can help streamline your process, save time, generate better results, and save money. A tool that is increasing in popularity among brands is chatbots. Though programmed bots, brands can manage their customer service partly or full of bots, thus limiting the need for people who manage it. And when it comes to chatbots, these can operate 24/7, seven days a week, and respond in a heartbeat, something that is not always possible with humans, especially if they are only operating during office hours. 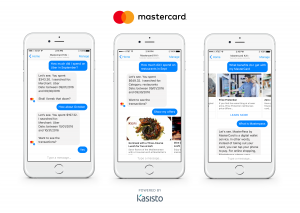 This means that a large part of the day, your brand is unreachable, but with chatbots, it’s reachable all hours during the day, and it can offer instant replies to potential customers. Internet marketing is incredibly accessible and can be accessed with ease, no matter where in the world you are. This includes benefits from many different aspects. Consumers don’t have to pay to reach you, no matter where in the world they are, thus removing customer cost in terms of money and time in order to get to you, but they can instead just reach you in a matter of seconds through the internet. Moreover, customers can have their products delivered right to their door, which means they can get the products, not having to go more than a few meters to their front door. Online marketing is also a tremendously easy and convenient form of marketing for you, too! It isn’t dependent where you are and when you do it, which gives the opportunity to work based on your own schedule. There are still people who are negative to things like social media marketing, as they claim that it isn’t possible to measure things like ROI and results, and these are also people who are holding onto the past of traditional marketing. And that to me is fascinating, because they argue that it isn’t possible to measure results on things like social media, but at the same time, they pay thousands of dollars for a billboard, which gives absolutely no information about how many saw it, how many actually consumed it carefully, how many interacted with it, and how many were actually impacted by it. Internet marketing, on the other hand, offers a ton of different analytics and measuring tools, which allows you to know exactly how many people saw your content, how long they stayed, if they interacted with it and if they ultimately converted. And as mentioned, not only is this crucial for giving you an idea of how well your advertising campaign performed, it is also crucial for identifying areas where you can improve. With traditional advertising, you have no, or very little opportunities to do this because the fact of the matter is that it is very difficult to get detailed information about its performance. Measuring and evaluating results is crucial for optimizing and improving marketing campaigns, as mentioned earlier, and this will tell you what you need to do to run marketing campaigns which will perform better in the future. Social media has, like internet usage in general, skyrocketed in popularity over the years. Remember what I said about the currency that marketers were trading on? More and more people are using social media, and the time people use it in the day has seen a dramatic increase over the years. Where customers are, that’s where the brands should be, and that’s exactly what a lot of brands have realized. Social media has gone from something that was considered to be ”for the kids”, to something that marketers have realized has the one thing they trade on, which is attention. And when they’ve realized this, that’s when a light has switched for many brands. Brands need to be where their customers are, and at this moment, social media is where many of them are at. Moreover, customers actually expect brands to be on social media, because when social media is their go-to place, it also becomes the most natural way of reaching out to brands, for things like customer service or interaction. But if you aren’t available on social media, you’re missing out on incredible opportunities of meeting and engaging with your customers. And as a brand, you want to take every opportunity you can get to interact with your customers. 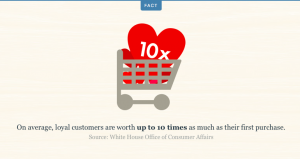 Customer relationships are everything as a brand. 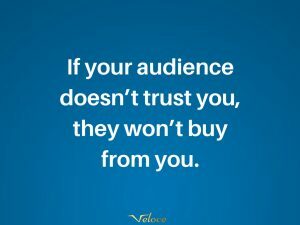 Relationships lead to trust, and if your audience doesn’t trust you, they won’t buy from you. And how do you build trust? By interacting with them of course. It’s impossible to build a relationship with someone unless you’re interacting with them, and internet marketing allows you to do just that. Internet marketing allows you to meet customers from all over the world, and chat with them in real-time. Moreover, it offers a number of different ways you can make the conversation much more personal and authentic, such as live streaming, real-time video-chats, and more. The first step for building relationships is being where your customers are so that you are able to reach them, and with the help of the internet, you are now able to reach virtually anyone, anywhere, in a matter of seconds. Follow-up emails and marketing emails are crucial to ensuring that you aren’t forgotten, but places like social media allow you to have genuine conversations with them which strengthen their trust. Whichever way you can reach your audience is a good way (unless you stand outside of their home like a creep). There’s a reason why 34.5% of customers respond that their favorite way of reaching out to brands is through social media. The most important reason is that it allows for instant responses. If you reach out to brands through email, for example, generally, you have to expect at least 24 hours before you have a reply. And if you take it one step further and look at the traditional forms of customer service without the internet, which is mainly through store visits, that’s only 5,3% of respondents. A number that is decreasing for each day. Compared to email and other forms of customer service, platforms like social media and live chats allows customers to get instant replies without having to wait more than a few minutes. 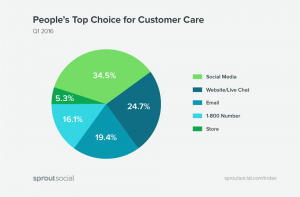 The other reason why more brands have social media as their favorite choice for customer service is simply the fact that they are spending time there. Since they are spending time there, reaching out to brands through that platform becomes the natural thing to do, compared to finding the brand’s email, compiling a message, and then waiting countless of hours for a reply. Internet marketing allows you to not only provide you fasted and better customer service, but it also allows you to make the customer service journey more pleasant for your customers. Take for example, if a customer has to travel to your store, just to get some help. And what if you don’t have a store close to where they live? Problems that existed before, but problems that don’t have to exist, now that internet marketing exists. Through internet marketing, your customers can reach out to you in a matter of seconds from all over the world, without having to travel a single meter. Maybe not very surprising considering all of the online marketing benefits I’ve already presented, but research shows that companies that leverage internet marketing, and has made it an important part of their marketing strategy grow at a faster rate. And that’s not so strange since advertising on the internet is cheaper, allows for better targeting (which means a higher ROI), and much easier to work with. Back in the days, the only brands that had the budget for television ads and large print ads were the giant corporates, but internet marketing has completely disrupted the marketing industry, and now made powerful and effective marketing available for everyone, no matter their budgets in a way that wasn’t possible before. As a result of a more effective marketing, brands are now able to drive better results at a lower cost, which obviously leads to faster growth. Moreover, the study also found that companies which generated between forty and fifty-nine percent of clients from online marketing grew at four times the rate of those brands that generated no leads from the internet. An important benefit of internet marketing is that it allows brands to manage a huge number of customers at the same time. For example, if you have a store, it can only store so many people, but as long as the infrastructure of your website is good, it can hold millions of customers at the same time. And the best part about this is that despite boasting a large number of customers, you are still able to provide your customers with a great customer service, which isn’t dependent on the other people who are on your site. As an example, if there’s a large number of people in a physical store, it will mean waiting in line for a long time, something that few customers are willing to do. It’s true! And you’d be missing out on incredible opportunities if you weren’t there to tap this potential. Luckily, I have some data to back up my statement. In fact, a study found that three of the top four most common ways service buyers check out brands is online. And you probably recognize yourself in this. If you are curious about a brand, the most natural thing to do is most likely to visit that brand’s website. Very few people go to their yellow pages book, see if they find the business and then call it tolerant more, right? This is why having a website as part of your internet marketing is crucial. Because it works as your hub on the internet where customers and prospects are gathered. There are endless of marketing opportunities on the internet. Marketers freely choose which tactics they want to embark on, and choose them based on budget, goal, objectives, preconditions, customers, and more. The huge buffet of possible marketing tactics ensures that there is something that suits every business. If a brand is great at creating videos and mediating their brand’s ethos through video, they have a huge number of ways they can leverage that, such as running YouTube ads, Facebook ads, or even focusing on building a strong YouTube presence and tap organic reach. Understanding your customers and the market is crucial for developing successful marketing campaigns. If you have no idea who your customers are, where they are spending their time, what they find interesting, etc, it is impossible to reach them with a message they’ll resonate with. In fact, it might be difficult to reach them at all, since you don’t know how. But fortunately, internet marketing allows you to effortlessly run market research, and in a number of different ways learn more about your customers and their habits. There is probably no other place where there is as much information about people as on the internet if you just care to look, and in marketing, this information can be leveraged immensely. The more you know about your customers, the more powerful you can make your ads, and the better results you’ll be able to generate.